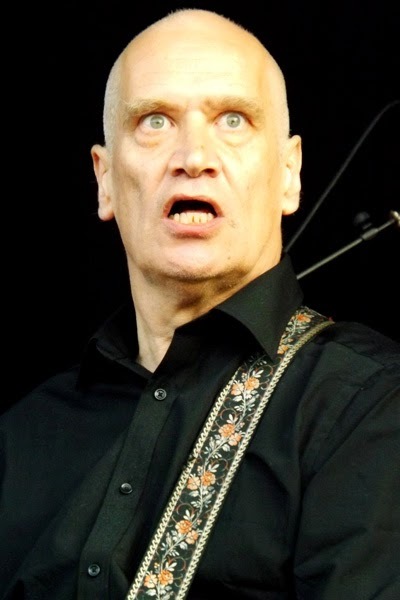 Two years ago, rock legend Wilko Johnson had just been told he had 10 months to live. Doctors had diagnosed the Dr Feelgood guitarist with terminal pancreatic cancer. Refusing treatment, which would have scarcely extended his life, he announced a 'farewell tour' and embarked on one of the wildest years of his career, playing to enormous festival crowds and recording an album with The Who front man Roger Daltrey. Comprised of his own material, it was Wilko's biggest hit since his number one album Stupidity with Dr Feelgood in 1976. He never expected to live long enough to see it released. 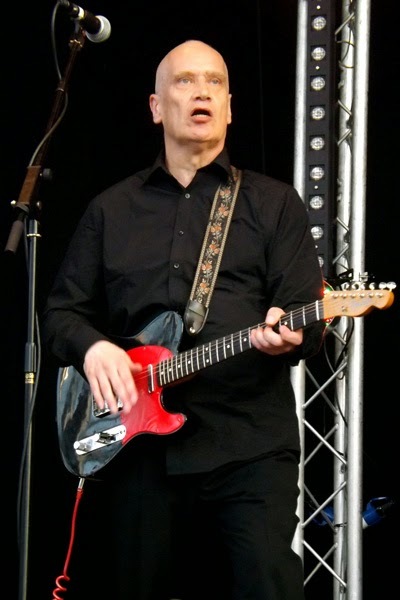 Wilko on stage in 2013. But last week I enjoyed a frank and funny hour-long interview with Wilko, who is still very much alive. More than a year after receiving his bleak diagnosis, when experts started to wonder why he wasn't dead yet, he underwent further tests. On closer inspection, doctors told him his cancer had not been terminal after all - only now, after having left it untreated for over a year, it had grown into a three kilogram, football-sized tumour, which had spread to his spleen and part of his stomach. Last summer he underwent a pioneering, experimental operation. Amazingly, doctors removed every trace of cancer - albeit along with his pancreas, leaving him diabetic - and now Wilko is taking his first tentative steps back into the music industry. Ahead of a comeback tour and a raft of summer festival dates, Wilko was friendly, candid and extremely funny - as he always is. It was not the first time I have interviewed him. In September 2013 I was the first journalist in the world to reveal he was working on a project with Roger Daltrey. At the time, he was expected to die within weeks. During our conversation, we covered everything from how he writes songs to his nerves about returning to the stage after the longest absence of his adult life. We discussed his time in hospital, including how the mind-altering after-effects of the massive dose of anaesthetic needed for his 12-hour operation led him to stage a dangerous, if amusing, escape attempt when he woke up. Along the way we also discussed his charitable efforts for the hospital which saved his life, and why he isn't angry at the doctors who wrongly told him he was terminally ill.
Wilko also revealed that he is the subject of a new documentary, directed by Julien Temple, who has made music videos for Janet Jackson, Whitney Houston and Davie Bowie. Temple also directed Oil City Confidential, the hugely popular documentary about the origins of Dr Feelgood. It was wonderful to find Wilko on such good form. The last time I spoke to him, 'knowing' - so we all thought - that he'd be dead by Christmas, was extremely sad, not least because he's such a friendly, funny and vibrant man. I look forward to catching one of his comeback concerts. To listen to the extended interview, including all the bits that simply did not fit in the newspaper, click here. To read my interview feature with Wilko, click here. To read about the new documentary, click here.